I hope everyone had a nice Thanksgiving, filled with plenty of family, friends and food. And if you braved the crowds this Black Friday, I hope you survived. One common practice for many of us this time of year is to count all the blessings for which we are thankful. It’s easy to take things for granted when we have so much- and I often find myself feeling entitled, forgetting that I am owed nothing. In the cardboard realm, I’ll use the odd-ball issues that were once common place in the Hobby as an example. The 80s and 90s were a haven for odd-ball collectors, but then, all of a sudden, they began drying up and were no longer as ubiquitous as they once were. This is especially true of Food-Issues, those tasty cards that were found in seemingly every box of cereal, frozen food and snack at the supermarket.We went from being stuffed to hungering for a new appetizer. It was at this point I realized how thankful I was for these cardboard treats. 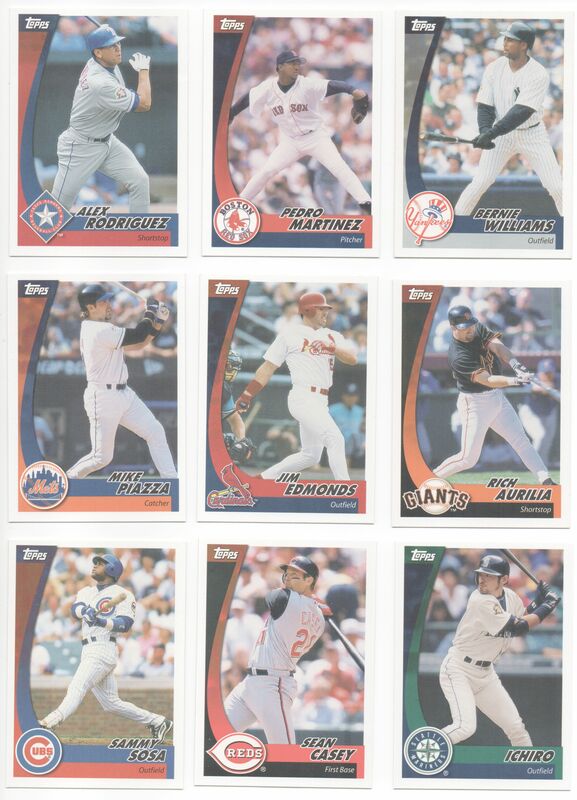 Years later, we finally had a new food-issue to feast on this year with the release of Topps’ Marketside Pizza cards found exclusively in Walmart with their Marketside Pizza and breadstick products. 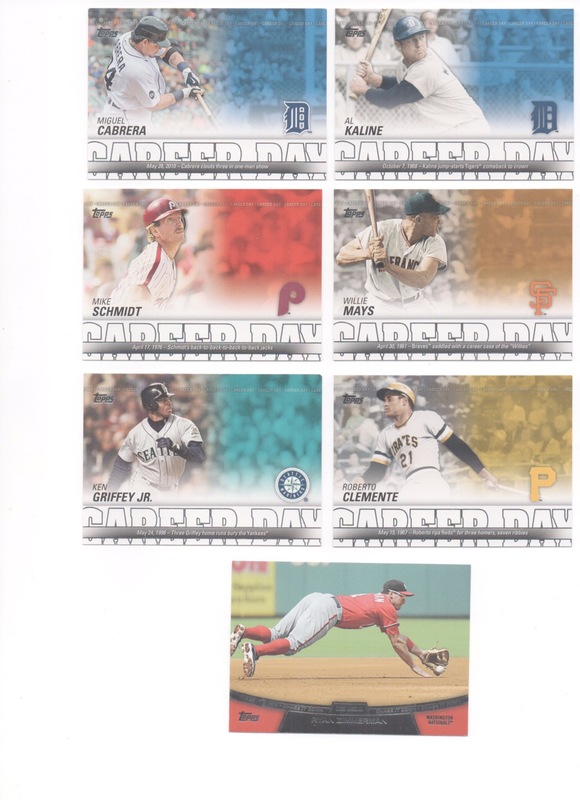 Today’s cards were some of the last wave of foodies before the drought hit, and were issued by Topps and distributed in boxes of Post Cereal. 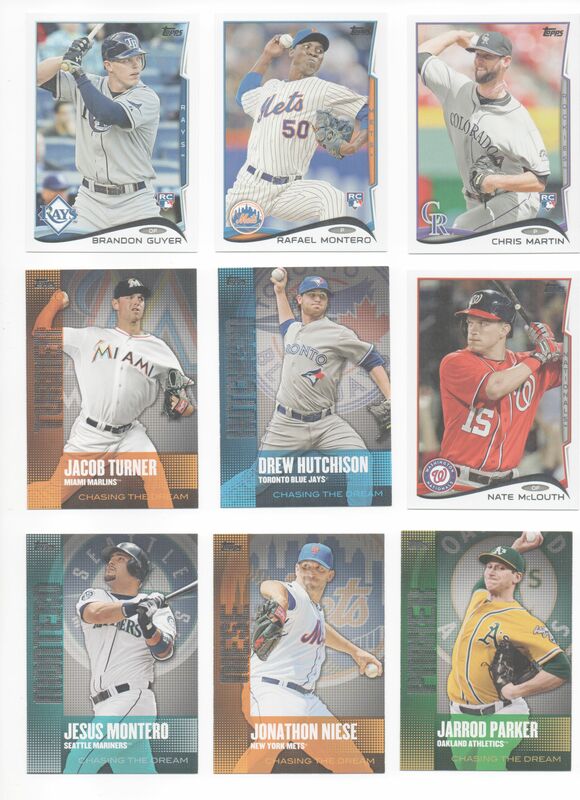 I picked these cards up on Sportlots recently and am now down to needing 13 cards to complete the set. Cards needed: 10,11,13,14,18,22,23,24,26,27,28,29. The more cynical collectors will see this and ask themselves why did he buy that?! It’s bad enough that it’s the 2016 smoke design, they will say, but what’s worse is that it is one of those gimmicky cards. Yes, I know all about your hatred for the 2016 design and to each his own. I’ve mentioned it before, but the design did grow on me over the baseball season. Had this been one of the ‘Topps Now’ designs, I would not have bought it. As it is, I picked it up because it seems like one of those oddballs that were an extension of the base set (regionals, for instance) that I’ve chased over the years. 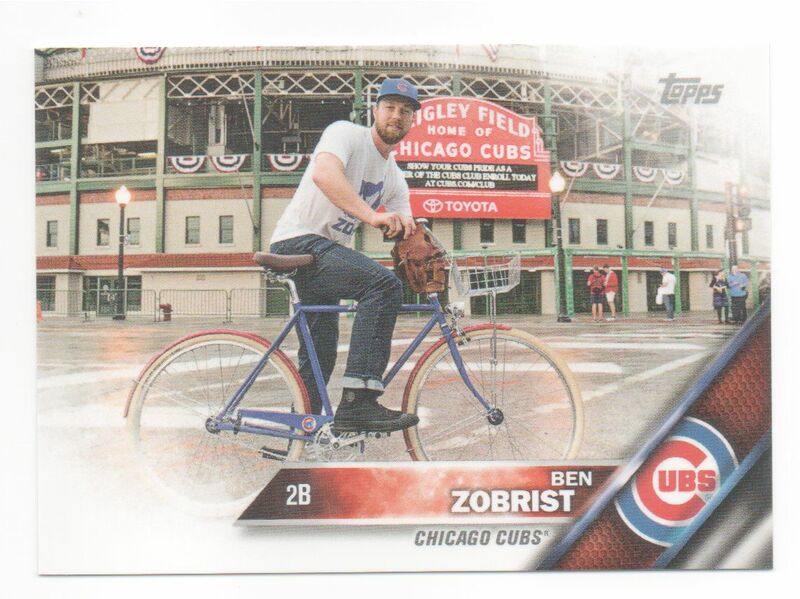 Plus, throw in the fact that Zobrist is a pretty class act and that all proceeds from the sale of this card will be going to charity, and I was more than happy to spend ten bucks. It was funny, this package. 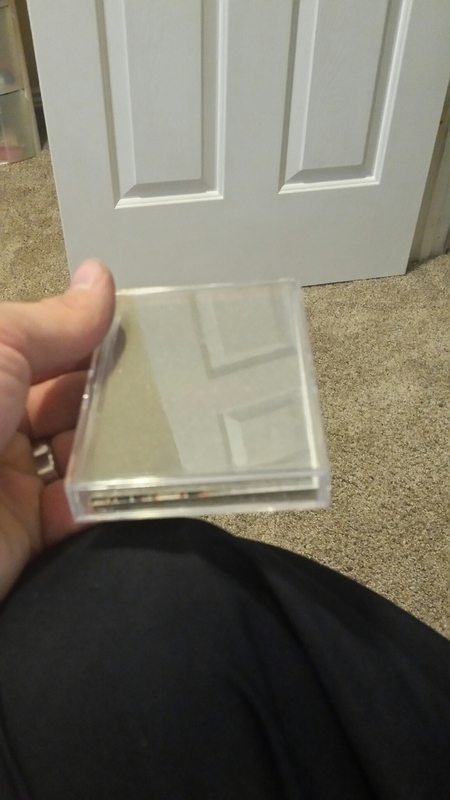 I’ve complained before about how Topps’ fulfillment company used very little protection in the shipment of their Now cards. Well, this baby made me wonder if Ben’s bike was inside. It was shipped in a large bubble mailer. 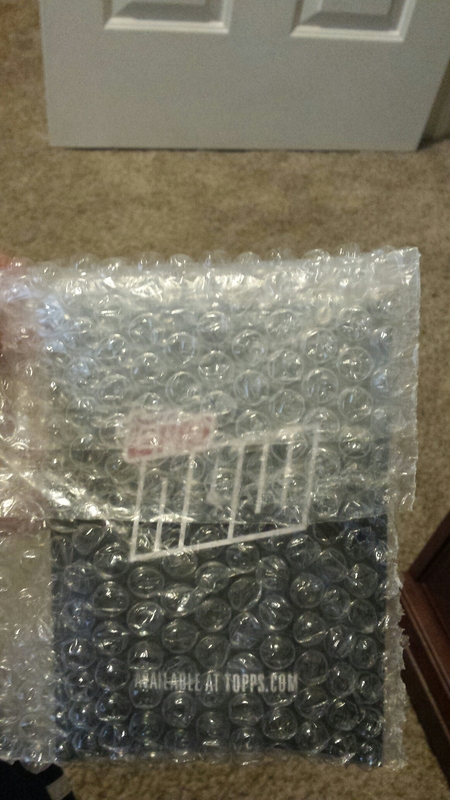 Inside of that was the above envelope, wrapped in more bubble wrap. And inside of this? A plastic case holding the card- which was sandwiched in between two pieces of foam, making the entire package kind of like a Russian doll. Trading through the blogosphere can be difficult for many collectors. 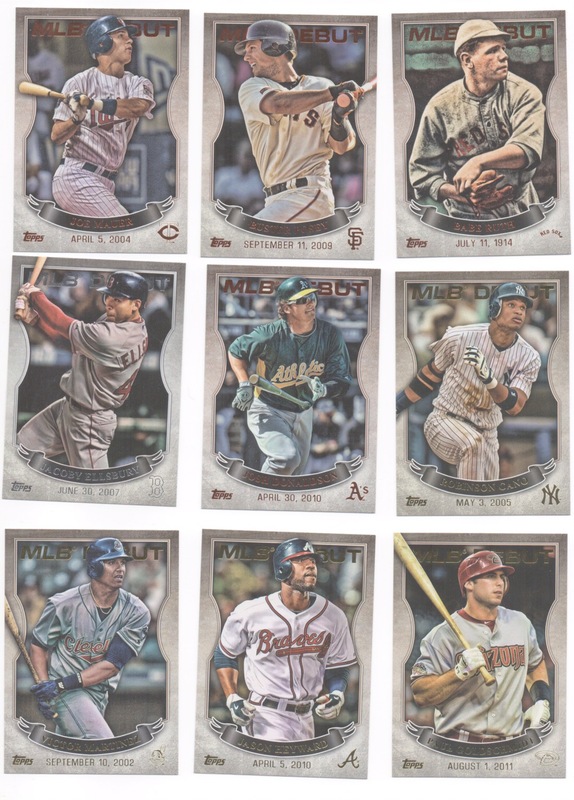 Of the 30 MLB teams, there are maybe 10 that collectors even care about. The other 20? Meh. Is it any wonder you have boxes upon boxes of singles (featuring commons and stars) sitting in your hobby room closet? 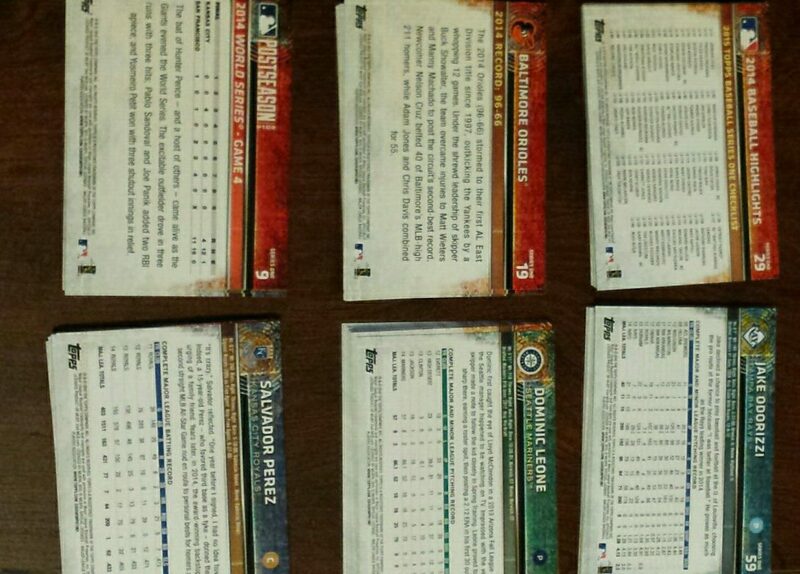 But for set builders like myself, internet trades can be a wonderful opportunity to pick up those much needed singles and inserts while bringing much relief to the party on the other end of the deal. 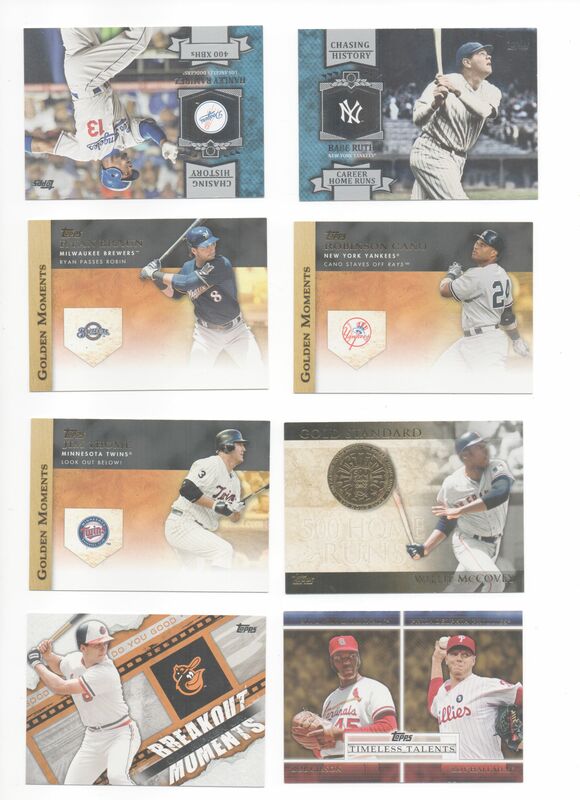 So instead of vying for those precious Dodgers or Cubs cards with numerous other collectors, I’ll settle for your Twins and your Padres; your Marlins, Mariners and Mets. Yes even those Rays and Rockies!! They are the outcasts of the hobby and I will accept them (and even a Dodger, Yankee or BoSox player) with open arms. Yes, I’m fully aware that the HanRam card shown above is upside down. But after all my problems uploading the past two weeks and having to scan these with my cell phone, I have no more sh*ts to give. Every card you see in this post comes from the Night Owl. I had contacted Greg a short time back to see if he was in need of certain *ahem* Dodger cards and made him earn them by drudging through my wantlists. 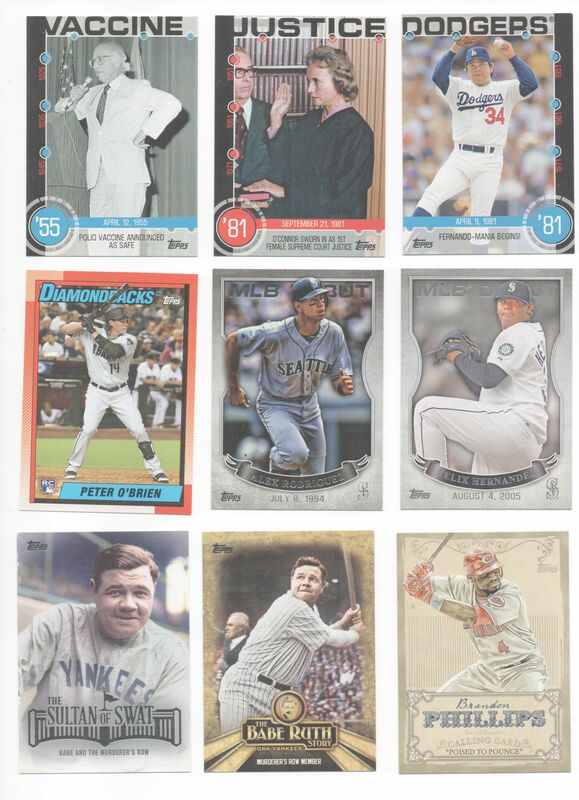 A couple things: I loved those Baseball History cards from 2015, as well as this year’s birth-year rookie cards found exclusively in Target and Walmart. Three of the Bambino were a surprise and it’s a good day anytime I can get a card of King Felix and Arod in a Mariner’s uniform. 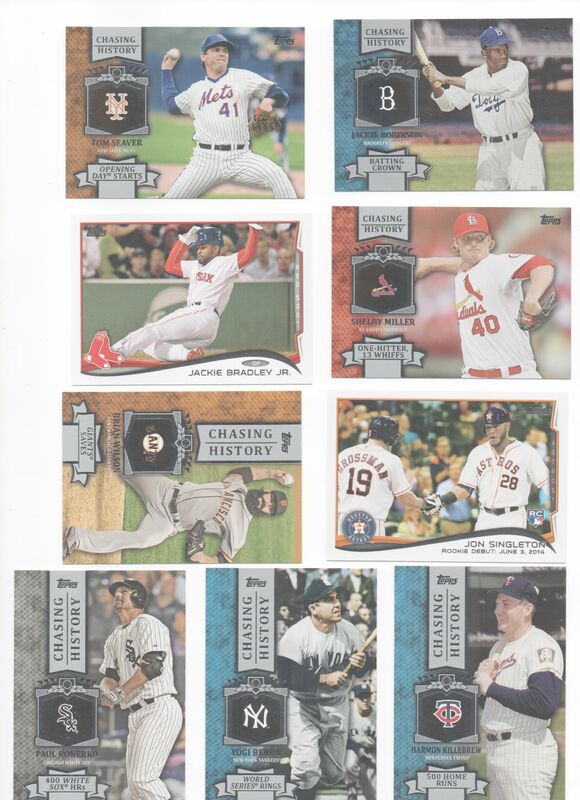 Not only did the Owl include all those forgotten inserts, but he also sent a few cards I was needing for the 2014 Topps Update base set. 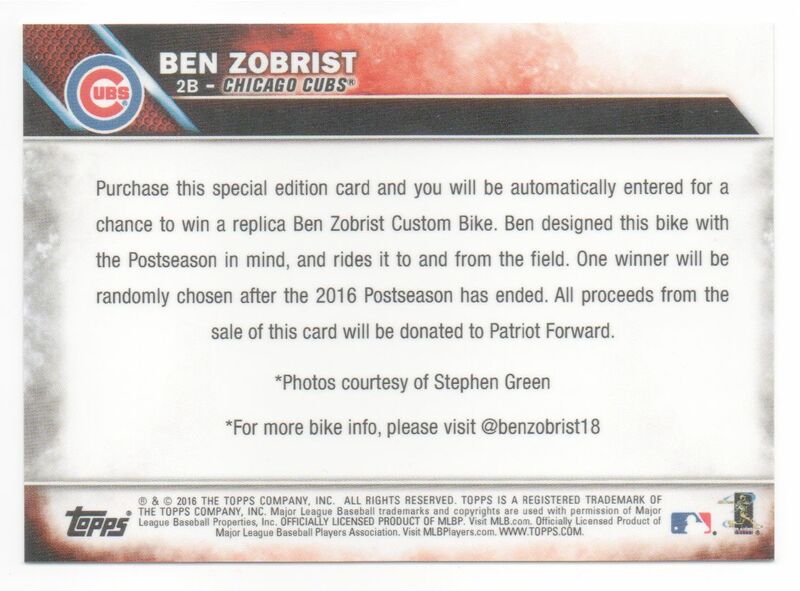 And why am I chasing down all those Chasing History cards? I suppose it’s because someone has to be an advocate for those who are marginalized. Even if it is only cardboard. Thanks again, Greg, for the great trade! 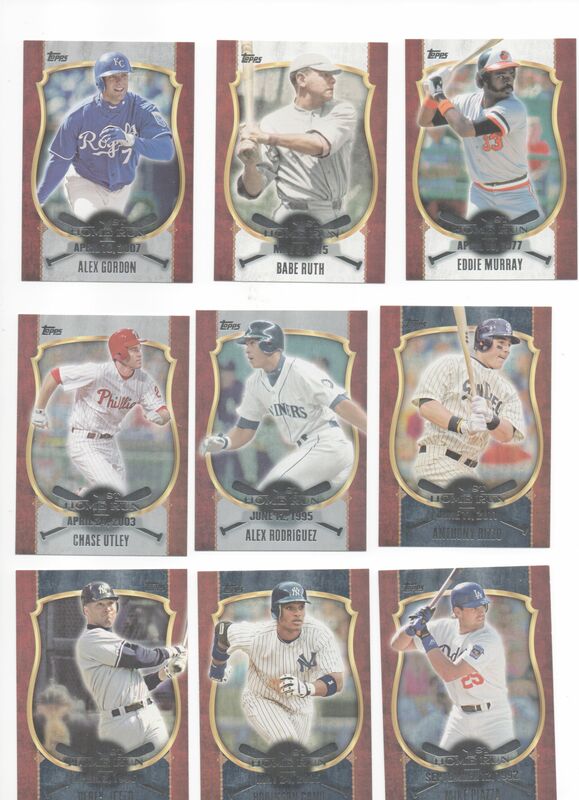 As I stated in my previous post, I’ve been having some technical issues here at Casa Collating Cards and as a result haven’t been posting anything of late. For whatever reason, I am still not able to upload photos to ebay or WordPress while on our home network. However, I was successful in doing so on blogger; any tech-savy readers know what’s going on with that? The post you’re reading today only contains photos because I uploaded them on my phone’s cellular network. Anyway, we had our quarterly card show this past weekend in the most unusual of places. For years the promoter has been holding the show in a hotel conference room, but apparently he has struck a deal with a local brewing company to host the event in the immediate future. And so it was in this setting that I set out to find some cards to check-off my want lists. Yes, there was brewing equipment behind many of the dealers tables, along with the taphaus just around the corner. Craft and Cards!! The time I had to spend digging through cardboard was relatively small- my wife’s uncle and cousin were in town for the Nike Cross Nationals Northwest Regional (her cousin participated in it), so she and my daughter tagged along so we could attend the meet. I will note that they stayed in the car, meaning that I felt that much more pressure to hurry through from table to table. There was a silver lining, however, in that I had been in contact with one of my dealer buddies via email leading up to the show. 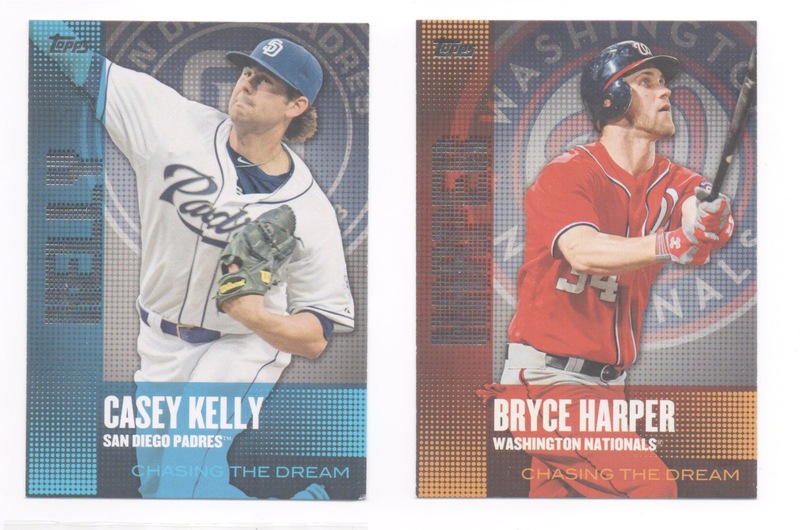 We exchanged some of our set needs for 2016 Topps, as well as some of my needs for my Topps Seahawks team sets. Though he had my cards ready for me once I got there, I still took some time to dig through some of his singles. I pulled 21 cards from binders and his star team boxes and expected to pay some cold, hard cash. After all, Carl dug out 109 Topps Seahawks cards- ranging from 1976-1992- and I only brought about 6 cards for him plus a 2016 Topps Update Set. To my surprise, he said he was happy with trading straight-up if I was happy with the deal. Heck yes, I was happy. I began to think he’d had too many craft brews, thanked him again and moved on. I threw a cursory glance at the remaining tables as I made my way towards the exit, with something catching my attention at the second to last table: a 1992 Topps High Number Brett Favre card and a Cortez Kennedy Monsters of the Gridiron card. 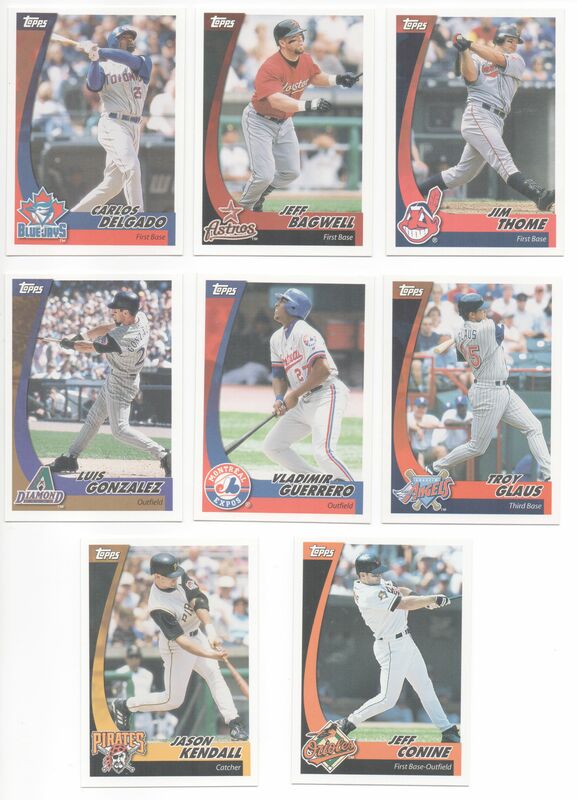 There’s nothing rare or exciting about either card, but I’ve always liked ’92 Topps and the high-numbers were a little harder to come by around here. 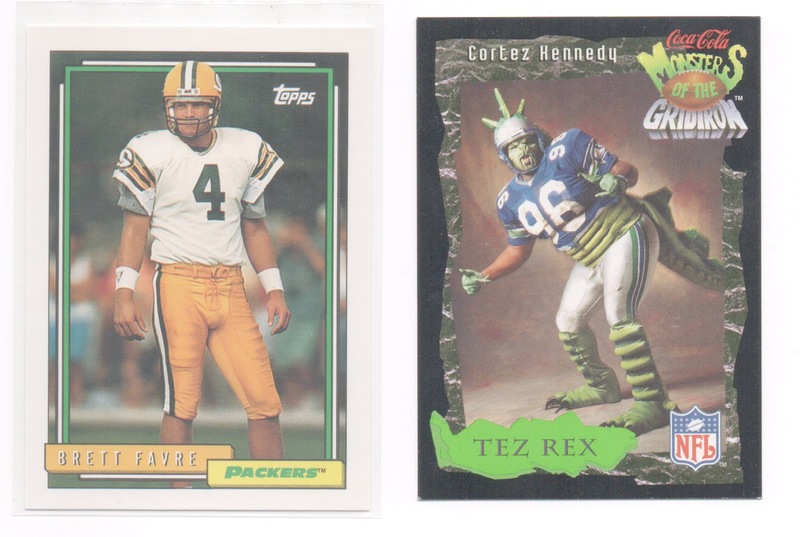 As far as the Tez Rex card… I’ve always been fond of odd-ball cards and did not have this one of the Seahawk legend. The two cards sat next to each other on the dealer’s table, so it had to be a providential work. I paid $3 and felt pretty good about leaving the show and spending only the amount of a milkshake. If you’re not familiar with the short-printed Third Series, it was produced after the NFLPA and NFL Properties resolved their feud and contained many of the biggest names in the game. These were players who had broken away from the NFLPA and joined the NFL Properties for licensing purposes. And because these players were not a part of the NFLPA when Topps (and the other card manufactures) began producing cards for the 1992 season, they were excluded from the checklists.